Using natural fiber to weave or bind products like basket, chair, head and body gear has being used from the time man discovered social skills. Nature could be the best possible teacher for men, guiding him step by step to achieve basic necessity of life. Not only man but other creations of Mother Nature like spiders, how each species spider has its own way of weaving its web, how birds weave their nest. At first looks, their nest looks very messy and random but when we carefully absorb the little craftsmen weaving his (generally, male birds make the nest and female choose only the best weavers to father their chicks) nest, he carefully chose the right kind of fiber, and grass. Interlocking them with each other and creating the best possible nest. Hence the man has learnt the art of basket / furniture weaving from the best teacher, Mother Nature. It is believe by many archeologist that basketry was one of the main reason for man to develop social skills. With the help of basket, man used to carry food items to their house and caves rather than eating it on the field. Sharing the food with each other helped in developing the social skill as believed by the archeologist who have discovered natural fiber basket dating between (10,000- 8,000 BC). Some of the best known materials used by man from centuries are bamboo, rattan, withies and wands, split wood, bark, roots, grasses, reed and sedges, rushes, straw, palms, pandanus, leaf fiber, other vegetal fiber, skin and hide, wood and hair, metal and synthetic fibers. There is no standard rule that a particular product has to be made out of a single or combination of specific materials. Material chosen by the artisan depends upon the availability of the materials and artisan ability to manipulate it to create the desirable product he wish to create. Generally in Asian countries, furniture made out of bamboo, rattan, cane and reed are popular. What is rattan? Rattan comes from the family of palm tree, having features of vine which can grow large and rapidly in the dense forest of south Asian region. It has a shape of pole and diameter ranging from one to three inches and having an ability to grow up to 150 meter tall , rattan is grown 1200 to 3000 m above sea level, around the world there are about 600 species of rattan but there is only 20 types of rattan are used commercially. Rattan is generally a wild crop which is cultivated in hilly region of eastern Indian states like Assam, Arunanchal Pradesh, Manipur, Nagaland, and Tripura. Rattan palm is peeled to reveal the core part, the core is known as rattan. The peeled skin is known cane. Reed is a type of grass which is also known as common reed, dry and processed reed is used in furniture making. Many believe that rattan and wicker furniture are same or are made out of same materials, due to which there is a huge confusion over the selection of the right kind of furniture for indoor or outdoor. In a general sense both rattan and wicker furniture comes under same furniture category even then one can find a remarkable difference between both of them. Compare to bamboo poles. Rattans have strong core and even hard to break and also more durable. Now when we talk about wicker, wicker is not a material like rattan or cane or bamboo. Wicker is a style, an ancient technique of weaving or binding furniture. 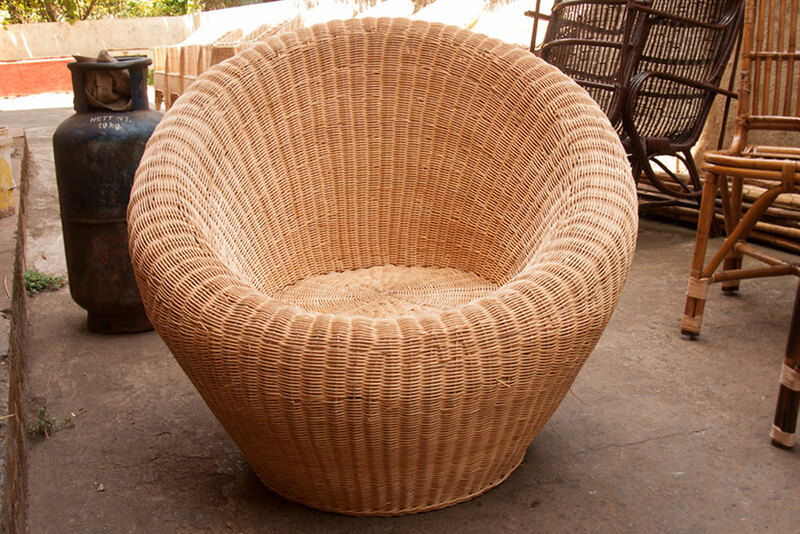 So wicker furniture could be just made of any two or more natural and synthetic materials. The strength of wicker products like chair, sofa, bed etc. depends upon the materials used to build the products hence the final product may or may not be strong and durable. In case of rattan based furniture which are made out of rattan and cane/reed (round reed / semi-round reed) will possess great strength and durability. Generally, rattan furniture posse natural color which are white and brown, exposing it in sun light and atmosphere may change color of rattan furniture, due to which the rattan furniture are used indoor. Wicker furniture are painted synthetic colorful paints, due to the nature of paint, they don’t fade away or react with atmosphere, and hence wicker furniture can be kept inside or outside. 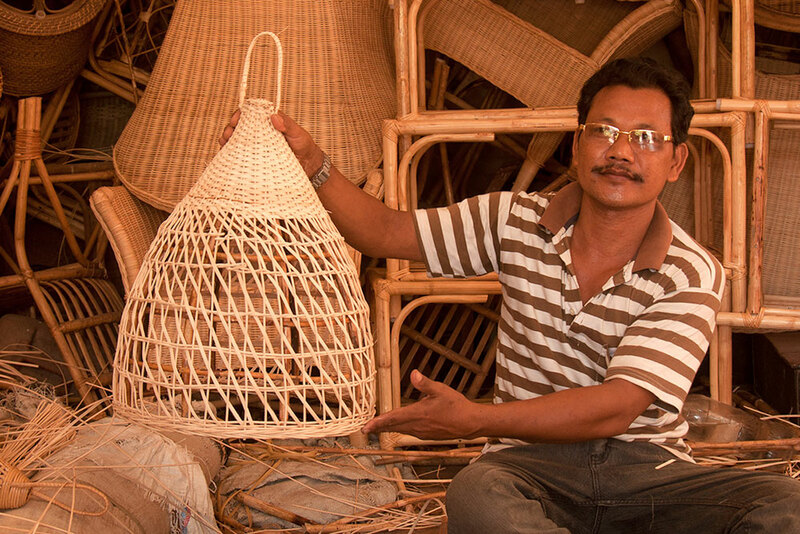 Rattan is not a new discovery or a new material to Asian country. Rattan is generally cultivated is large dense forest area of the hilly region, rattan as a vine grows very fast with the help of existing vegetation available. In these dense forest over 30 % of the total cultivation is grown wild and rest of the cultivation is maintained by the local villager and the traders. Jali bet, golla bet and bhudum bet. Jali bet is used for weaving, netting, binding, crossing and design work. Golla bet is used for framework, structure, support and bracket and design also. Bhudum bet is mainly used mainly for hard structural works. 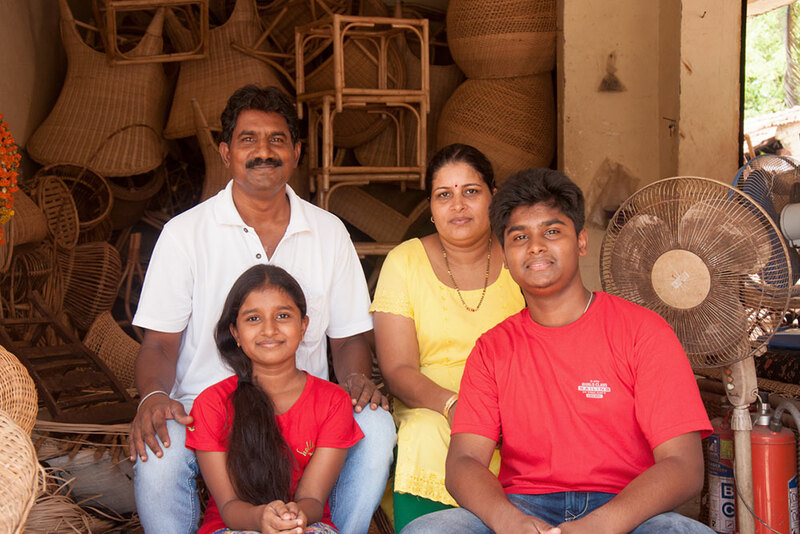 Rattan, cane and reed furniture provides great employment opportunities to the native people of eastern India and also western ghat. 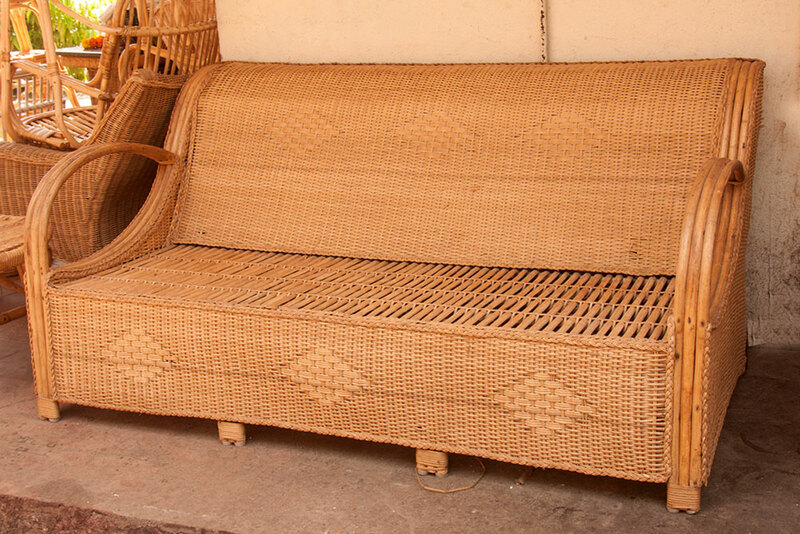 The origin of rattan product were originally to full fill their basic needs, most of the earlier made product were limited to the eastern states of India, it is believed that in early 15th century was the era when rattan furniture along with other bamboo furniture was introduced to rest of the world by the foreigners who came to India. Around the same era many other Asian countries were experimenting with bamboo, rattan, cane and other natural fiber. Some of the countries which took up natural fiber products making were china, Indonesia, Thailand, Vietnam, Philippines, Nepal, Mongolia, Indonesia, and Bhutan are some of the well-known countries which produce natural fiber products. Rattan and natural fiber products are not new to goa and its surroundings, since Vasco-da -Gama landed in southern state of India called Calicut, later Portuguese declared the state of goa their Indian capital in approximately 1510, soon after this there was a huge export of indian based article. Some of the majorly exported items were fabric, natural fiber, tea and spices. This could be termed as the ear of export. Goa become a main trading place for the import and export. It provided an opportunity people of different category to find right kind of work. In the early 20th century goa has become a place for trading and a major tourist attraction. 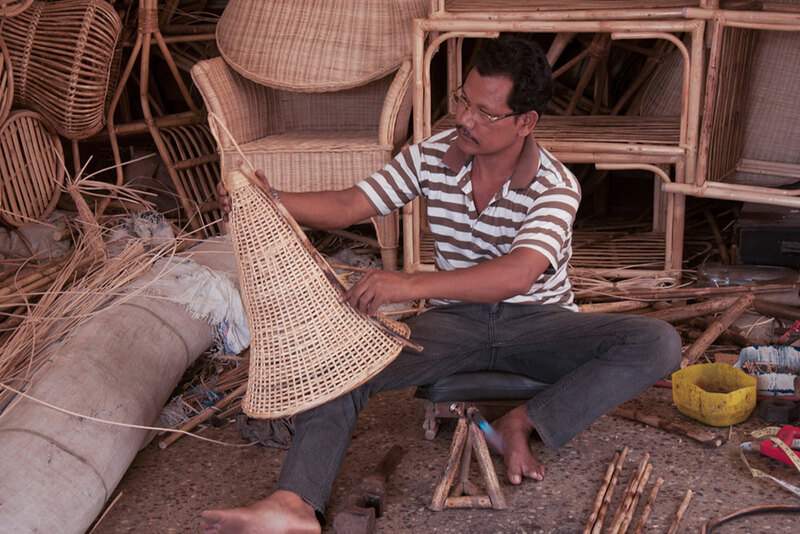 Natural fiber products like rattan and bamboo generates employment and value added products. Natural fiber product are also a part of cottage industries. Many artisan from different parts of India like Bombay, Bangalore, Delhi, madras and largely from Assam have settle in Goa. Annually about 2,00,000 artisan travel to goa for seasonal and permanent jobs. Natural fiber based industry generates about 15 crores of business annually.